Is your productivity at work suffering because of constant electrical issues? Then put Staywired Electrical on speed dial because we can assure you that we have a St Andrews electrician on call 24/7. After performing and endless succession of jobs and establishing a wealth of knowledge amongst our individually chosen electricians, we are very proud to have built ourselves a team of licensed, fully insured, expert electricians who are capable of coping with any residential and commercial electrical issues. We understand that there are constant technological advancements to keep up with and even ahead of, so we make sure our team stays on track with all forms of modern technology. At Staywired Electrical, we send our staff on regular refresher courses and encourage our electricians to gain higher qualifications in areas like IT, data wiring and telecommunications. With this in mind, you can have confidence that your local St Andrews electricians have a broad knowledge base, allowing them to handle any electrical emergency at your place of business or home. Regardless of the time of day or night, Staywired Electrical has an electrician on hand ready to work out and fix any electrical issue in a short timeframe. We guarantee that all of our employees are fully licensed, qualified and insured. With our team of St Andrews electricians willing and able to help with any issue you throw at them, you get absolute peace of mind and a job completed with the highest workmanship. Have an emergency? Call us at absolutely any time of the day or night on (02) 8315 3240. 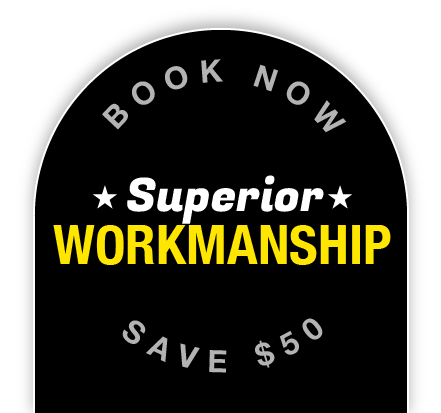 Book now and receive a $50* discount. We also offer discounts for seniors. The name for the suburb of St Andrews came from a Scottish convict by the name of Andrew Thompson, who named it in honour of the patron saint of Scotland, St Andrew. The land was used for the farming of dairy cows and cattle until 1957, when the government announced that it wanted to establish a satellite city there. Locals did not like the plan and voted against it because they wanted to continue to use it for farming.